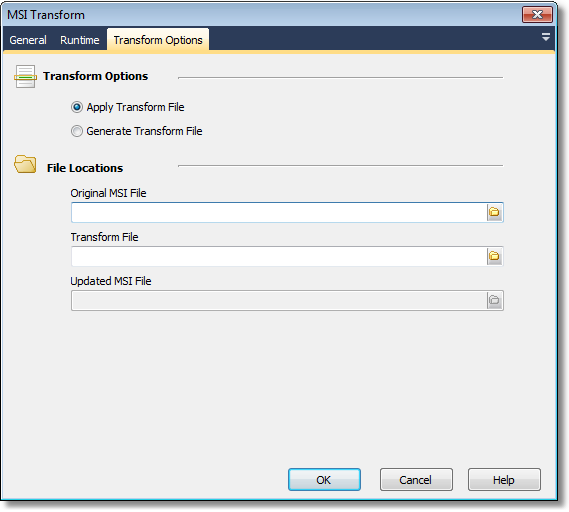 The MSI Transform action enables you to generate a MSI transform files, or apply transforms to existing MSI databases. An MSI file that has not contain the changes of the transform file or the updated MSI file. The location of the transform file, which will be created when generating a transform. The MSI file which contains the changes to the original file, which will be used when generating a transform file.